Looking at the new trend of actors and actress venturing into movie production and directing, one wonders if some of them are really equipped with the level of professionalism and dedication involved in the intricacies of being behind the camera. 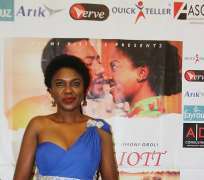 Actress and movie producer Omoni Oboli, has a ready-made answer for those who questioned her ability to direct a movie after she disclosed to the media that she just finished her first movie, Being Mrs Elliott which she wrote, produced and directed would hit cinemas soon. Being Mrs Elliott, which opened the Nollywood Week Film Festival in Paris few weeks ago and got 11 nominations at the Nollywood and African Film Critics' Awards (NAFCA) in California, USA, is the story of a successfully married woman, who was torn between two worlds after a life changing incident. She found out that the best life has to offer are not things but moments.